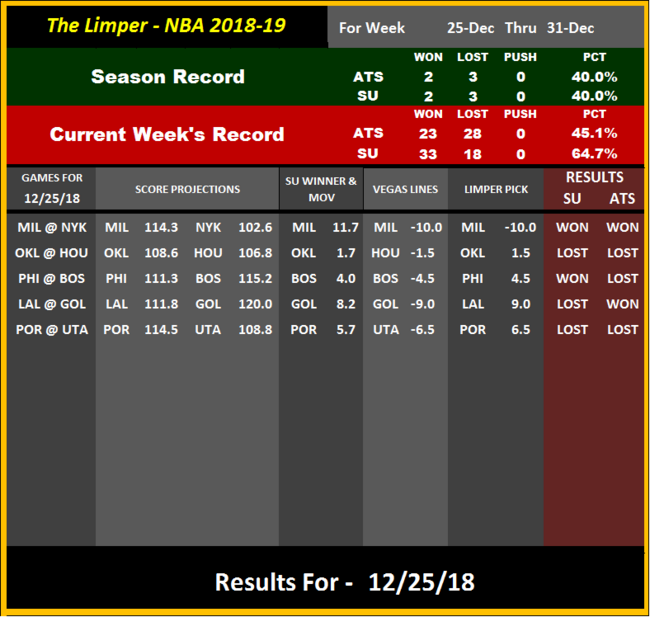 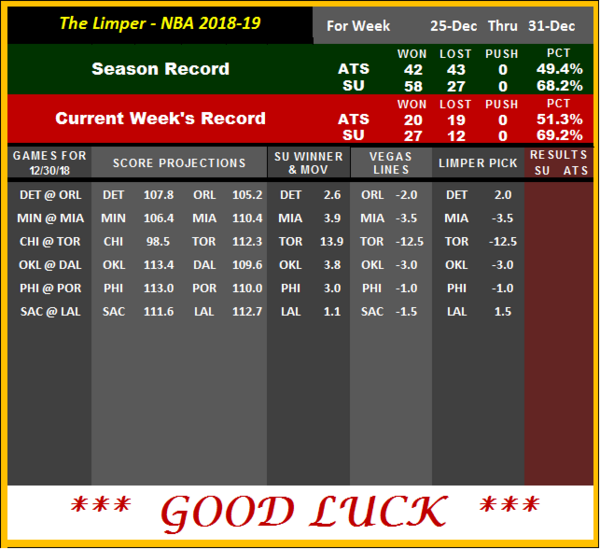 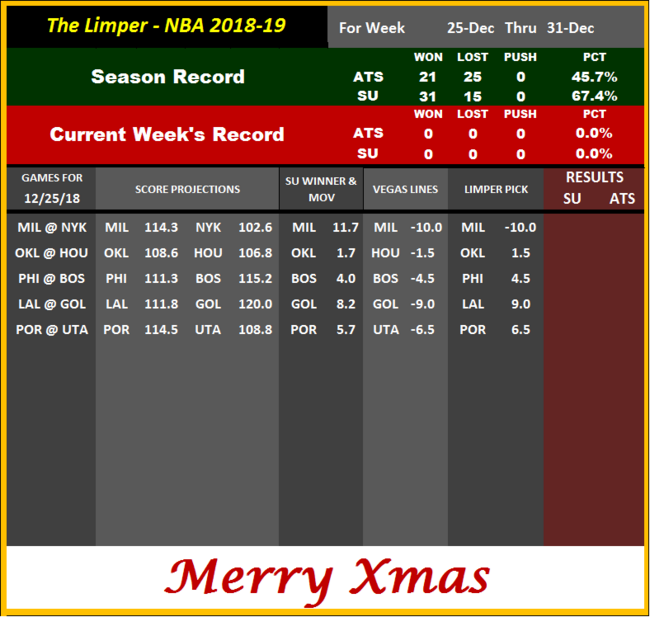 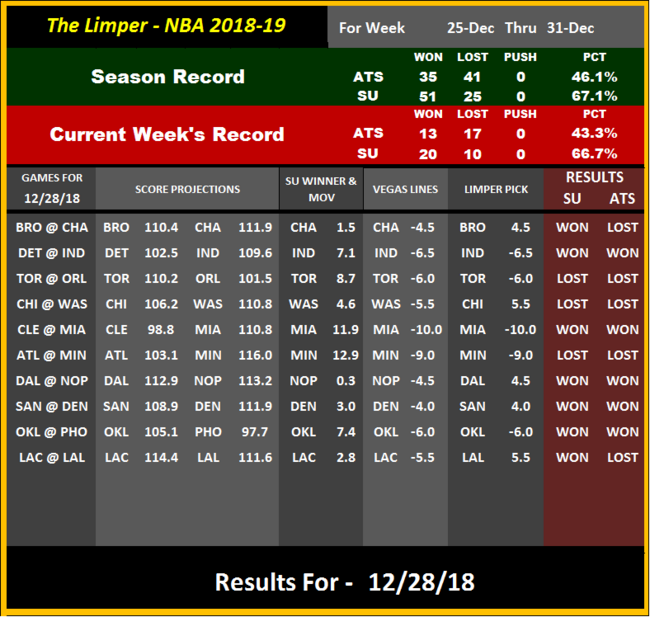 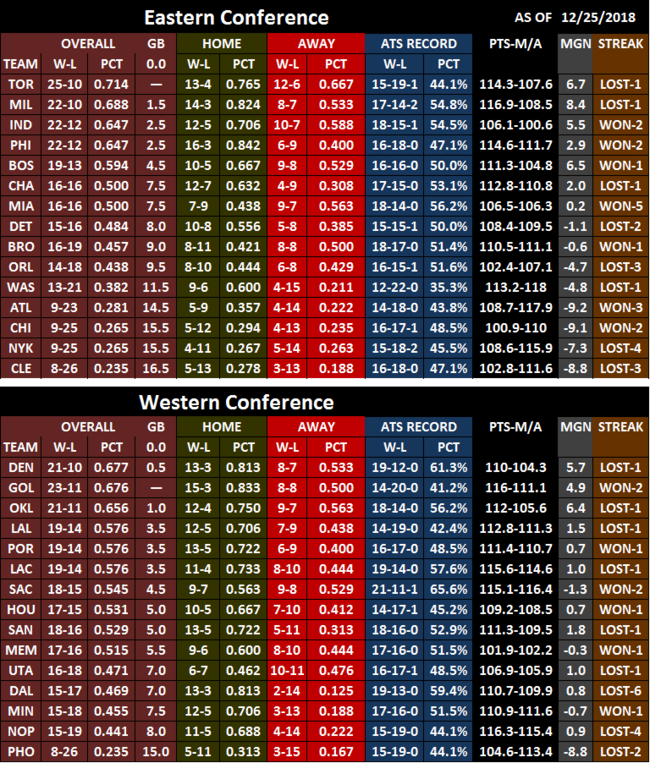 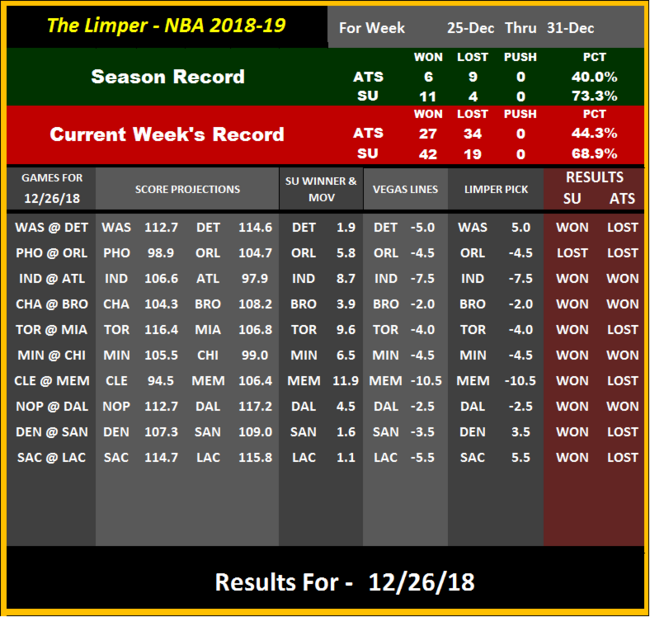 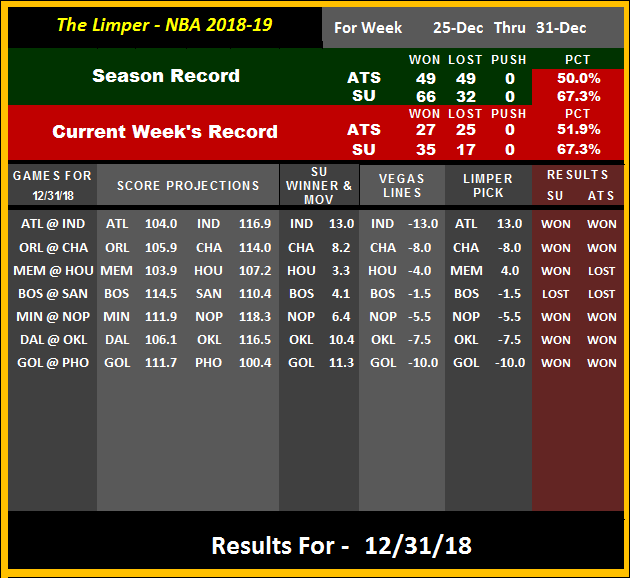 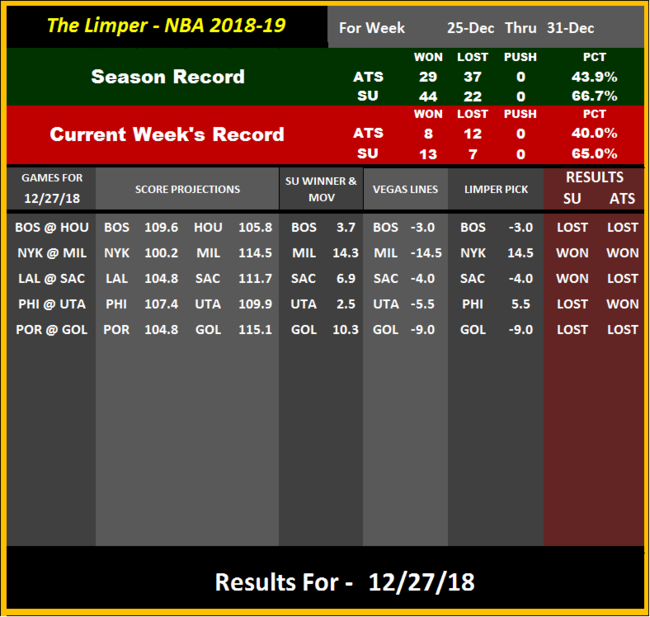 The projections listed below are based on this season’s team and player data, but the point of the calculations in my model, is the Margin of Victory (MOV), and not the projected scores. 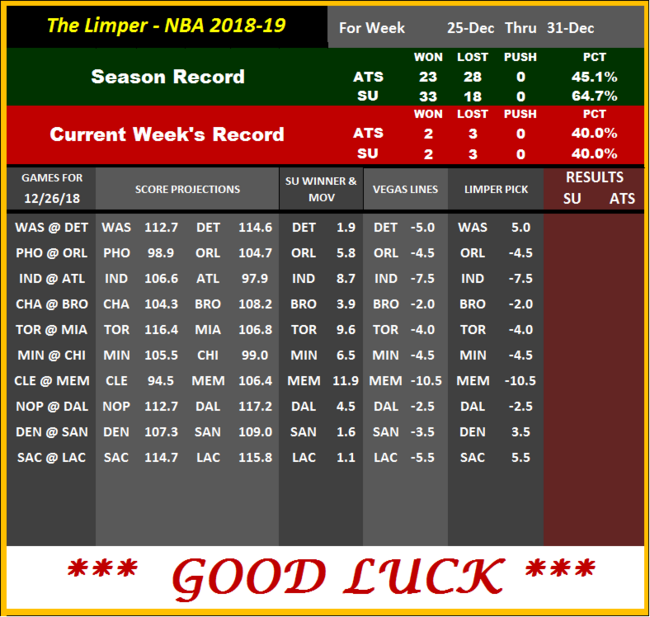 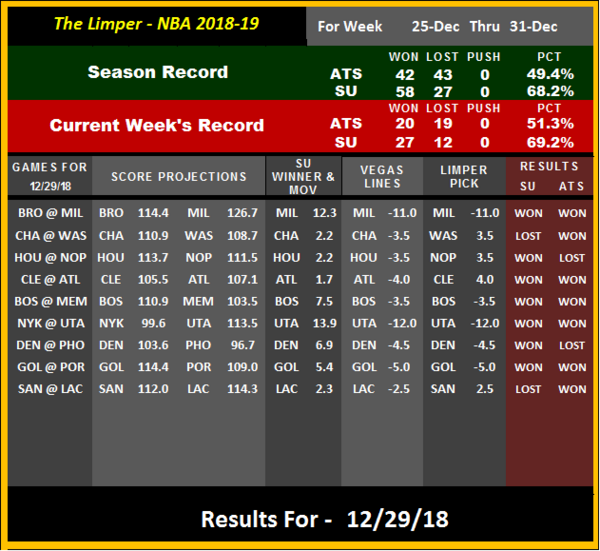 Put another way, the posted scores are, for the most part, based on the projected MOV – and not the other way around, which makes the scores a bit unreliable for over/under totals. That said, the scores don’t come out thin air, and I use them myself in my O/U wagering.